As part of her role, she was to adapt various health economics models for Canada and various Latin American countries. 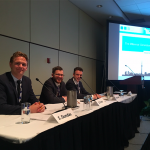 This involved intense collaboration with colleagues around the world. 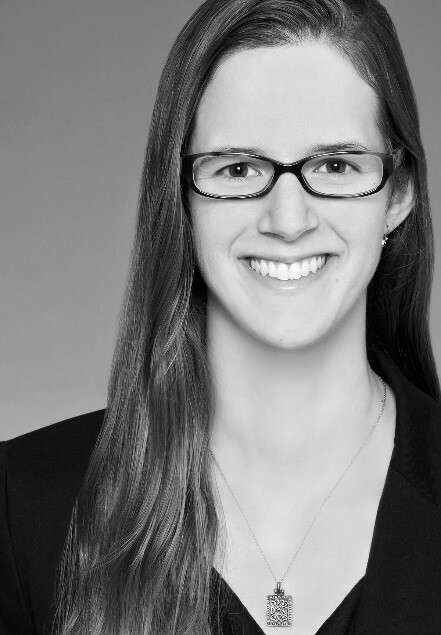 As a result, Alison was a co-author on 28 abstracts during her 8-month Corporate Residency. 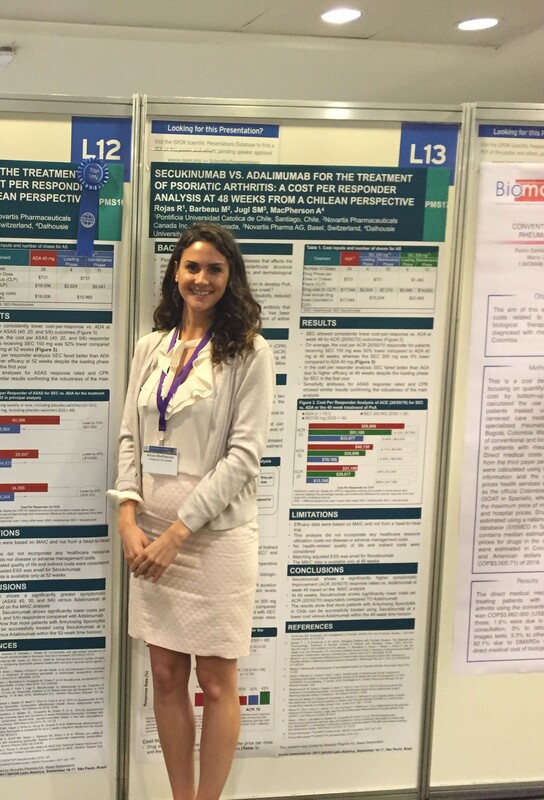 “Through these publications, I was awarded the 2017 ISPOR Student Travel Grant Award, through the International Society for Pharmacoeconomics and Outcomes Research (ISPOR). 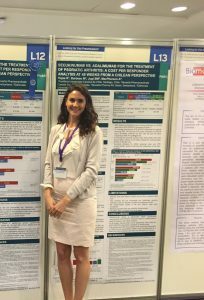 I was invited to attend the Latin America ISPOR conference in São Paulo, Brazil.” The award is only granted to 10 students from around the world, and Alison was the only student from Canada who attended. “I felt very fortunate to attend this conference in Brazil. Networking, attending short courses, presenting, and attending regional workshops and meetings was a tremendous learning experience. It was also a lot of fun to try some typical Brazilian food, such as Fogo de Chão. 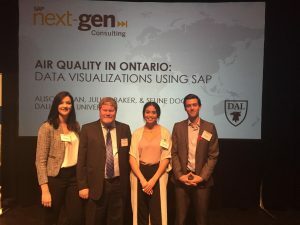 By putting in a lot of hard work through her Corporate Residency, Alison was able to participate in an exclusive event with peers from about the world. 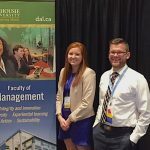 While not everyone may have the same opportunities, by working hard during your internship, co-op, or corporate residency, additional opportunities may arise that will further develop your career and professional development! Don’t miss these fantastic business conferences which offer great learning and networking opportunities. KPMG’s Executive Look Summer Conference: Apply to Participate! 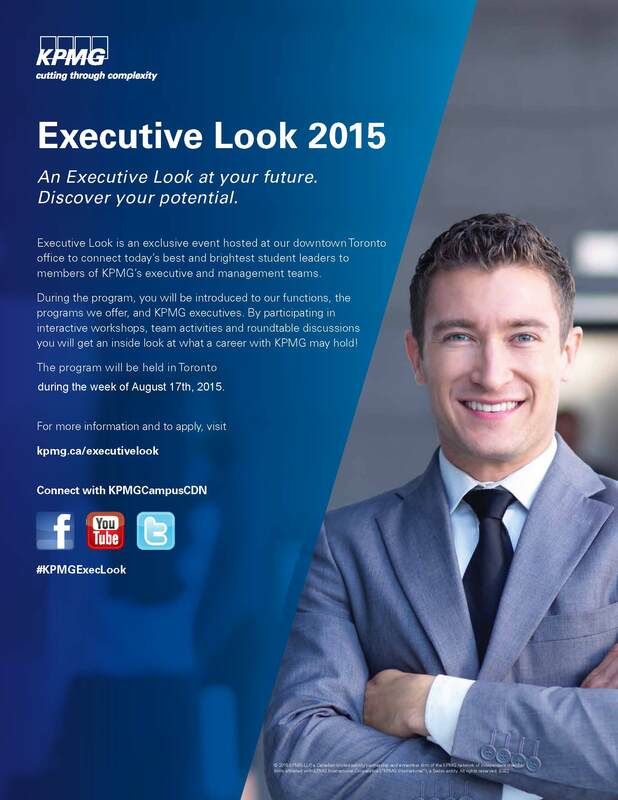 We’re helping KPMG to spread the word about their 2015 Executive Look summer conference. See below for full application details. 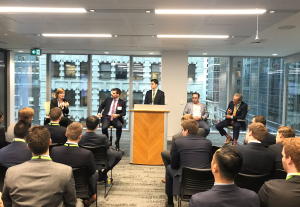 Executive Look is an exclusive event hosted at our downtown Toronto office that connects today’s best and brightest student leaders to members of KPMG’s executive and management teams. This National program will allow you to learn about our functions, the programs we offer, meet and interact with KPMG Executives and have the opportunity to participate in interactive workshops, team activities and roundtable discussions. 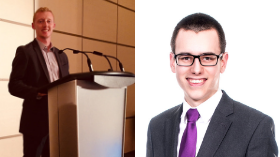 This program is a great way to for you to learn more about your potential future with KPMG and to explore the possibilities of a career with a public accounting firm, while networking with KPMG representatives and students from across Canada. To Apply: All applications must be received no later than March 31st 11:59pm EST. Please apply directly to KPMG at www.kpmgfit.ca. You will be asked to select your office preference for future employment on the application form. This is the office in which you will be going through the selection process for Executive Look. Our online application system will allow you to include up to five documents without losing your formatting. Applications can be addressed to Hiring Manager and should include a cover letter, resume, and an electronic copy of your most recent transcript. If you do not have access to an electronic copy of your transcript, we ask that you provide a summary of your marks where indicated. If you experience any difficulties with the online system, please contact ca-fmcdncamprec@kpmg.ca. 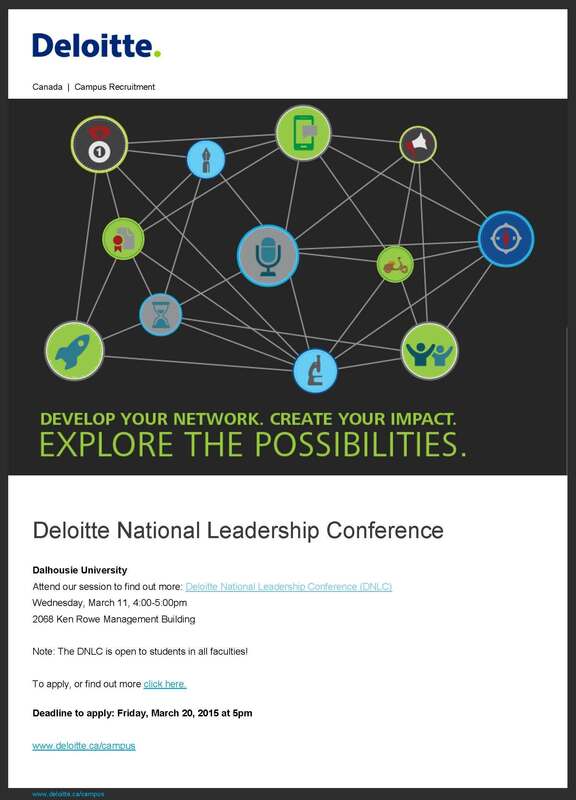 The 2015 Deloitte National Leadership Conference: Apply to Participate! Experience the Deloitte difference in summer 2015! Deloitte, one of Canada’s leading professional services firms, provides Audit, Tax, Enterprise Risk, Financial Advisory and Consulting services through more than 8,000 people in 56 offices. Develop your network. Connect with Deloitte professionals of all levels ranging from manager to partner, members of the recruitment team and like-minded individuals from across the country. Create your impact. Take your skills to the next level. Create an innovative solution for a real business problem and take part in workshops that build communication, leadership and problem solving skills. Explore the possibilities. Challenge yourself. Get outside of your comfort zone and reap the lifelong benefits of an experience that pushes you to realize your full potential. If you’re interested in learning more about Deloitte, one of Canada’s Top 100 Employers for 2015, this opportunity is for you. This conference is guaranteed to be one of the most exciting and rewarding learning experiences you will ever encounter outside of the classroom ‑ at no cost to you. -Has a keen interest in pursuing a career in professional services. Please note: In the past, we’ve only hosted students enrolled in a business program and interested in pursuing a CA designation. This year, we are expanding this opportunity to include students interested in pursuing a career in professional services and may include students outside core accounting programs. -All applicants must submit a resume, statement of interest (max. 500 words) and most recent unofficial transcript. -Statement of interest should address the following questions: Why do you want to participate in this conference? What is your interest in Deloitte? What do you hope to get out of it? -Be sure that your ‘1st Location Preference’ directly reflects where you are interested in starting your career. Participants will not incur any costs for participating in this conference. Deadline to apply: Friday, March 20, 2015 at 5 p.m. 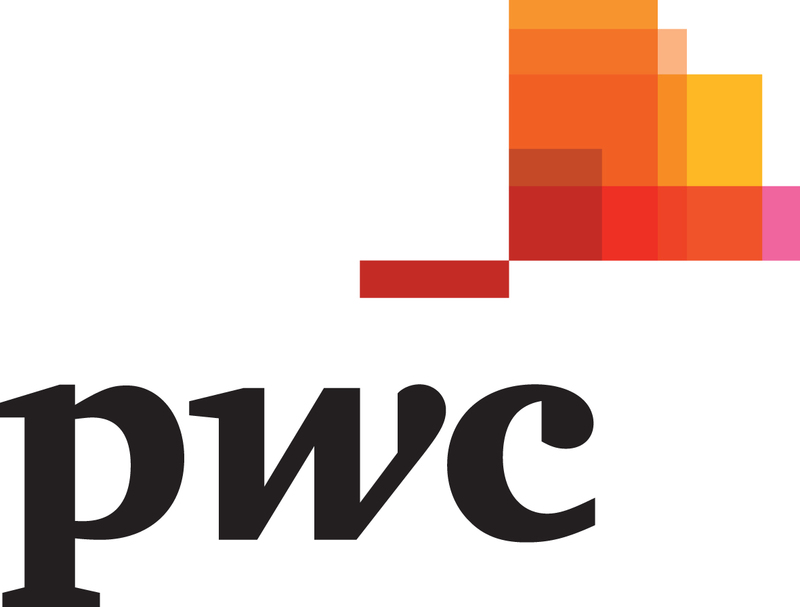 The 2015 PwC National Talent Academy: Apply to Participate! PwC Canada helps organizations and individuals create the value they’re looking for. More than 5,700 partners and staff in offices across the country are committed to delivering quality in Assurance, Consulting, Deals, Risk Assurance Services, Tax and Technology. PwC Canada is a member of the PwC network of firms with close to 184,000 people in 157 countries. If you’re in your first, second or third year of an undergraduate business program looking to specialize in accounting, then this is your opportunity of a lifetime. Apply now to experience PwC’s Talent Academy, which is held June 15-17, 2015. This event will provide unique exposure to our high performance culture, helping you assess your fit with us. · Experience life at PwC with our “teach-don’t tell” approach to learning, our hands-on involvement in the community and our innovative approach to creating excellence in the marketplace. PwC will cover your flight, transportation and accommodation costs. · On our campus careers website, navigate to ‘apply now’ and select ‘view all openings’. This ensures our Talent Academy vacancies display for you to apply to.